The humble Cape gooseberry is maligned as a weed, decried as a cattle killer and is of undetermined provenance; yet, to my mind, it is one of the most delicious fruits on the planet, and one of the easiest to grow. My mother’s apple pie was magnificent. The filling was crisply enclosed in her grandmother’s famous pastry recipe, which traditionally used lard. My mother, not wanting to kill my father prematurely with clogged arteries, rather more safely substituted butter. In late summer she would add a magical ingredient to the stewed apple filling: draining in the enamel colander was a heap of rinsed, glistening, orange marble-sized berries. We knew them as Cape gooseberries and while my brothers squinted at their sweet acidity I loved warming them in my mouth, and having the seedy juices explode with a gentle bite. My mother knew that if she stewed them with the apple they did the same, littering the apple pieces with thousands of tiny seeds. If they were added after the apple had cooled a bit they retained their shape and their flavour intensified. From phusallis, the Greek for ‘bladder’ (per the inflated calyx) comes the genus Physalis. I am focusing here on Physalis peruviana (Linnaeus), variously known as Cape gooseberry (South Africa and Australia), Inca berry, Aztec berry, golden berry, giant ground cherry, Peruvian groundcherry, Peruvian cherry, pok pok (Madagascar), poha (Hawaii), jam fruit or ras bhari (India), aguaymanto (Peru), uvilla (Ecuador), uchuva (Colombia), harankash or is-sitt il-mistahiya (Egypt), gu niao or mao suan jiang (in Chinese pinyin), altin çilek (Turkey), or sometimes simply Physalis (UK). Although it has been cultivated in some areas for more than 200 years and local genotypes are common, varieties of selected strains for commercial use are not widely available. References to named cultivars include ‘Golden Nugget’, ‘New Sugar Giant’, ‘Giallo Grosso’ (large fruit), ‘Giant Poha Berry’ (fruit approximately 30mm in diameter), ‘Golden Berry Pineapple’ (a dwarf variety), ‘Little Lanterns’, ‘Golden Berry’ (fruit up to 60mm in diameter), ‘Long Aston’, ‘Dixon’, ‘Garrison’s Pineapple Flavor’, ‘New Zealand’, ‘Peace’ and ‘Yellow Improved’; however, their respective availability appears to be very localised, and these cultivar names may not be formally recognised, or are synonyms. The Cape gooseberry is yet another delicious and nutritious member of the abundant Solanaceae family and like other members the unripe fruit, leaves and flowers are poisonous. The Solanaceae consists of approximately 98 genera and some 2,700 species, and there are about 85 species of Physalis. Several references cite Physalis edulis (Sims) as a synonym for Physalis peruviana; yet this use is infrequent in the literature. Solanaceae, or the Nightshades, are known for having a diverse range of alkaloids – nitrogenous organic substances, that provoke a range of intense physiological actions on animals, even at low doses. The tropanes are the best known of the Nightshade family alkaloids and are desirable, toxic, or both to humans. Nightshades also variously contain a variety of alkaloids that can be more or less active or poisonous, such as nicotine, scopolamine, atropine and hyoscyamine. There is some indication the Cape gooseberry has amongst its constituents polyphenols (which provide coloration, and suppress or release growth hormones, in addition to other roles) and carotenoids (which have anti-oxidant qualities). As noted, only ripe fruits should be eaten, as there could be toxic, cyanogenic glycosides in the unripe fruit. The Cape gooseberry may also be considered a threat to foraging animals as its leaves and stems are suspected of having caused the erosion of intestinal membranes (Diptheresis, or pseudomembranous inflammation) in cattle. The most commonly used local name Cape gooseberry is a double misnomer. Physalis peruviana is indigenous to South America, not South Africa, but has been cultivated in England since 1774 and in South Africa in the Cape of Good Hope region since before 1807. Soon after its adoption in the Cape region seeds were brought to Australia, where it was one of the few fresh fruits of the early settlers in New South Wales, and perhaps helped address the issue of scurvy (at least), as it is high in vitamins A (3,000 I.U. of carotene per 100 g), C, B (thiamine, niacin, and vitamin B12) and P (bioflavonoids), protein, and iron. Cape gooseberry jams and preserves are self-jelling as the juice of the fruit contains so much pectin and pectinase. The protein and phosphorus contents are high for a fruit, but calcium levels are low. Just as it not of South African origin, it is also not a gooseberry. The gooseberry Ribes uva-crispa (syn. Ribes grossularia) is native to Europe, northeastern Africa, and west, south and southeast Asia; however, Physalis peruviana is correctly identified as a berry. 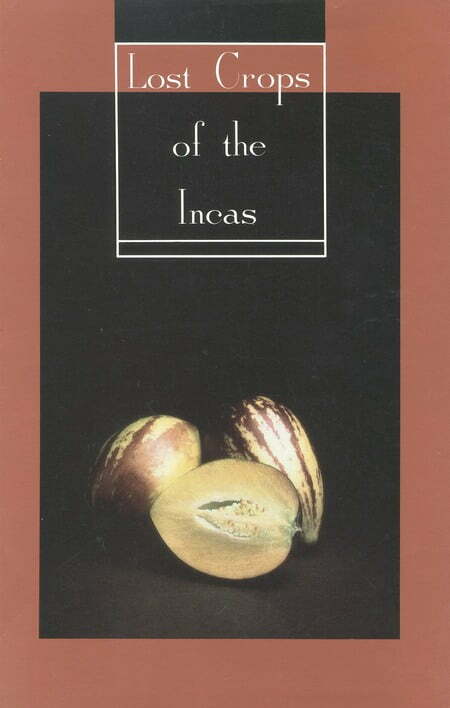 In undertaking research for this article I came across a fascinating book published by the National Research Council – Lost Crops of the Incas: Little-Known Plants of the Andes with Promise for Worldwide Cultivation (1989). The National Academies Press, which holds this e-book, is a storehouse of papers, books, conference proceedings and articles on agriculturally-related topics and many can be uploaded free of charge. 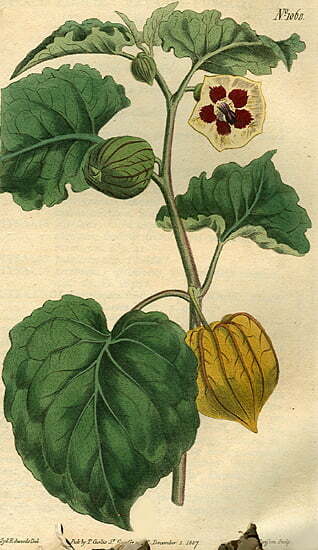 Lost Crops of the Incas refers to the Cape gooseberry as ‘goldenberry’, and confirms the Incas knew of it, but that its specific origin is obscure. It notes plants give their maximum yield the first season and will produce for two or three years but the fruits get smaller after the first. This text also warns Cape gooseberry has the potential to become a weed when introduced to new and climatically accommodating locations. It is listed in the Geographical Atlas of World Weeds as a “common weed in Hawaii, Indonesia, Kenya, Rhodesia and a weed of unknown importance in Australia, Fiji, India, New Zealand, Peru, West Polynesia and the United States”. The Australian Tropical Rainforest Plants site notes Physalis peruviana is now naturalised in many localities in the higher rainfall parts of Australia, particularly in northern Australia, where it grows as a weed of agricultural land, in newly felled and burnt rainforest on basaltic soils, and beside roads. The Weeds Australia site goes further to state it is regarded as an environmental weed in Western Australia, New South Wales and Victoria, and that it is becoming naturalised in Tasmania (although the frosts here do kill the soft leaves and branches very readily). 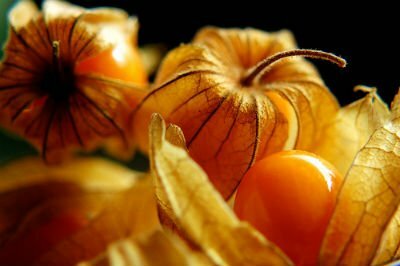 Nonetheless, I highly value my Cape gooseberries as they produce fruit well into autumn and demand very little of my attention. I am careful to water them generously, but I am sparing with the fertiliser (as too much generates lush foliage and few fruit). One day, with the right oven, patience, some locally grown heirloom cooking apples and a full colander of my golden berries I shall attempt to replicate the famous family recipe. Very interesting. I remember being served these with cheesecake in Hong Kong. I have some seeds – do you know if they need treatment and/or how to sprout them? Thank you for your comment. 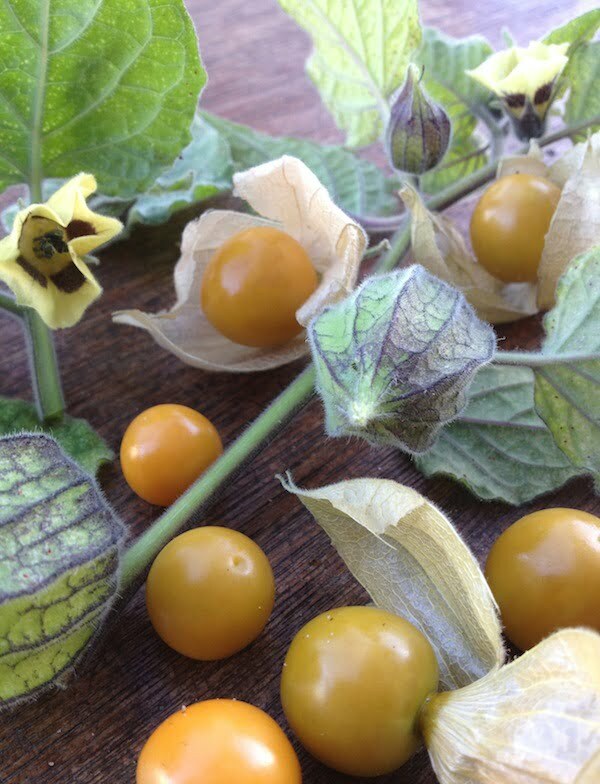 Yes, I have had Cape gooseberries served in restaurants as a garnish, and I think they are wasted that way! There are two methods I know for saving tomato seeds, so I think they will work as well for Cape gooseberry seeds; both are members of the Solanaceae family, and both have fleshy pulp around small seeds. A second method is less fussy (but more messy): slice the fruit (tomatoes or Cape gooseberries), squeeze the pulp directly onto paper toweling and let the pulp and seed mix dry. When you are ready to sow the seed, cut off a piece with four to six seeds on it and sow them in a pot or directly in the ground. They germinate readily and I always have many seedlings coming up under my existing bushes, in the spring. Or, sprinkle the seed over fine seed-raising mix and make sure you don’t overwater the soil or the germinated seedlings. A fine misting should suffice. Plant out when the stems have thickened and hardened slightly, and the frosts have passed. It is also easy to layer branches – pin low branches of existing plants into the soil and they will take root at that point. This rooted piece can be transferred to another site. Hope your germination goes well. About a year ago, I was given a Cape Gooseberry plant. It seemed to grow well, until it was attacked by some sort of orange/gold beetle (with fine stripes of black). Quite a few of them invaded the plant and I haven’t been able to find out what the beetle is or how to get rid of them. The plant was destroyed, and strangely, I haven’t seen this sort of beetle again since. It seemed to target only the Cape Gooseberry. Any ideas?? Hi Danielle, Thank you for your comment. •	root rots and viruses when plants are grown on poorly drained soil. From your description it could be the Colorado potato beetle (Leptinotarsa decemlineata) – a serious pest of commercially grown potatoes – or the striped cucumber beetle (Acalymma vittata), normally a pest of cucurbits (particularly watermelon). The Organic Gardening sites http://www.organicgardening.com/learn-and-grow/striped-cucumber-beetle and http://www.organicgardening.com/learn-and-grow/colorado-potato-beetle have some good tips for identification and management of these pests. Thank you for this wonderful article! I was only recently introduced to the wonders of Cape Gooseberry Jam by my wife, who hails from SA. We live in East Tennessee, US and no one….I mean…NO ONE around here has ever met them. We grew enough for several batches of Jam and they are quite amazing. Thanks for digging in and sharing the details. One question…where did you find the Audubon looking identification painting ( http://gardendrum.com/wp-content/uploads/2014/05/Physalis.peruviana.edulis.jpg ) that you used? After a long search for a botanical non-copyright illustration I found that one on, of all places, Wikipedia Commons (a media file repository making available public domain and freely-licensed media content). It seems to have disappeared from that source now. It is a much older illustration than those of Audubon’s. Hopefully you will have some success growing them this summer. Heritage seed is readily available online. Hi – I have grown a stupendously large Cape Gooseberry bush this summer it has fruited prolifically yet not one berry has made it to ripeness – before that time something slits open the casing and eats the still unripe berry. The stalks of the plants are very long and delicate and there is no way an animal could be climbing up and eating them – it definitely has to be something flying – yet what!!! I have not seen birds around the plant and I live in Sydney – do you have any suggestions? That is an intriguing mystery. I know where I am possums graze on the fallen fruits, as do parrots. Multi-foraging birds such as Common Mynas (Indian Mynas) and Noisy Miners are extremely agile and can ‘eat on the wing, but you would hear/see them. Some small honeyeater species will also feed on fruits, pollen, berries, sugary exudates and occasionally insects, if nectar is in short supply. I suspect your bird thieves might be the latter, which is a good thing, if you can bear to lose a few fruit. Recently my daughter came home from Peru with a gift of chocolate covered Golden Berries which were delicious if somewhat tart. After searching online I discovered that they were the Cape Gooseberries that were a weed where I grew up in the Mid North of South Australia. I have planted my Cape Gooseberry about a year a go and start fruiting 6 months in but now has grown so much that i need to trim it down. Is there anyway i could trim it and plant it somewhere else? Physalis. Careful, what the books and other websites don’t tell you…. I’ve noticed that the fruit which has a tiny little dot (about the size of a period . ) around the circumference about 1/3 way down from where the stem connects, has the cucumber beetle worm inside the fruit. 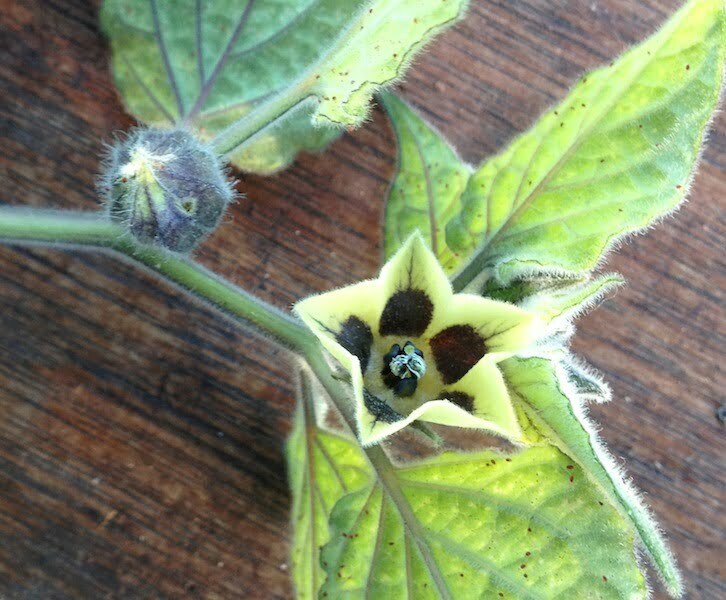 These bugs don’t infect the other non-physalis ground cherries (such as Aunt Mollys, Pineapple or Goldie). Combat by applying DE to the plant surfaces early in the growth season, especially when mating cucumber beetle bugs are present on the plants. Repeat as necessary into early September. Last year the worms took half of my physalis fruit, and the chipmunks took a good quarter, and I carefully ate the remainder. Catriona – I have just captured a few of those black and gold striped beetles eating holes in the leaves of my gooseberry bush. I think it was them – they seem to have left tiny sticky golden clumps that I expect might be eggs? Cunning little blighters just drop when you touch near them – like dendrobium beetles. Tried spraying with pyrethrum and it seemed to chase them – and I have now done a test with those captured specimens and the pyrethrum seems to have done for them. Also had some grubs like the ones produced by the Cycad Blue butterfly and they were readily controlled with a spray called Success here in Oz. Hopefully some fruit will be produced to transport me back to my youth when I used to eat them straight from the bush. Yum! Hello! thank you for your comment and observations. I’ve never had to battle any pests on my Cape Gooseberries. They seem to be pretty tough where I am and a cold winter frost will kill any potential bugs. I have had problems with rats eating the fruit in the past. I have bandicoots where I live now and I am more than happy to share any dropped fruit with them and the bluetongue lizards.